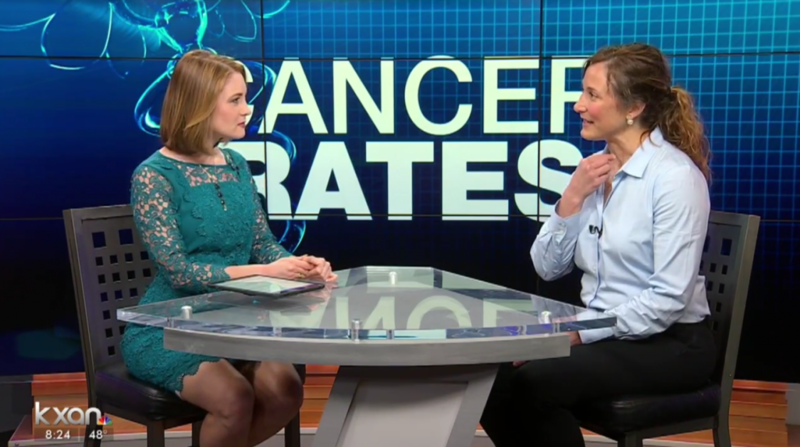 Dr. Teresa Kroeker was featured on Austin’s KXAN morning news to discuss rising thyroid cancer diagnoses. Austin’s leading thyroid surgeon answers questions about what the thyroid is and what thyroid cancer entails. As the eighth most common cancer in the US, Dr. Kroeker attributes that more diagnoses are occurring due to ultrasound technology identifying the disease earlier. Dr. Kroeker discusses risk factors and what viewers can do. She recommends that patients understand their personal risk factors and ask their primary care physician or o.b. to check and feel the thyroid gland in a physical exam. Because there are very few symptoms, it’s important to have a neck examination. If a mass or nodule is felt, an appointment with an endocrinologist or a thyroid surgeon, like herself, is the next step. Then an ultrasound or biopsy would be ordered if indicated. If cancer is diagnosed, the main treatment is surgery followed-up with an endocrinologist.